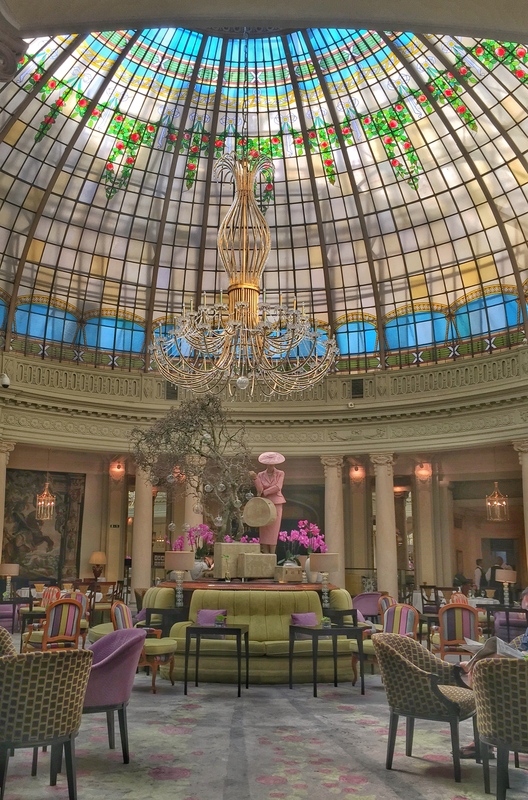 Beautiful light flows through the elegant stained glass dome at La Rotonda restaurant in the Westin Palace hotel in Madrid Spain. Known for their Sunday Opera Brunch it’s also a great spot to stop by for tea, enjoy the decor and people watching. The mannequin with the vintage suitcases was part of the 100 Years Traveling Together exhibit. Historical pieces from Samsonite gave a glimpse into how travel evolved from 1912 through the decades.